Computational Science is field of study in which computers are used to solve challenging scientific problems. Real or imaginary world scientific problems are converted into mathematical models and solved using numerical analysis techniques with the help of high performance computing famously called scientific computing. As computer technology is advancing rapidly, computers are becoming increasingly powerful and increasingly available, and with the advancement of mathematics and other basic sciences, the use of robust computer simulation and modelling techniques are being recognized as a key to the economic growth and scientific advancement. Computational science now constitutes what is famously called the third pillar of science together with theory and physical experimentation. The 2005 Report to the President of US, Computational Science: Ensuring America’s Competitiveness, states that "the most scientifically important and economically promising research frontiers in the 21st century will be conquered by those most skilled with advanced computing technologies and computational science applications." (1) Scientific simulations are typically compute intensive in nature. It takes week or days to obtain result if ordinary single processor system is used. For example, in predicting weather the amount of computation is so large that it could take ordinary computer weeks if not months. To make a simulation more feasible the use of High Performance Computing (HPC) is essential. HPC is the use of supercomputers and complex algorithms to do parallel computing i.e. to divide large problems into smaller ones, distribute them among computers so as to solve them simultaneously. In this project we have implemented some widely used scientific simulations namely fluid dynamics (fluid particles simulation), oil reservoir simulation and Black-Scoles (predicting price of option – finance). The aim of the project is to analyze the performance characteristics of compute intensive scientific applications on leading HPC architectures, namely distributed memory (MPI), shared memory (threads or cores) and GPUs. We have examined performance bottleneck on these architectures, how to overcome these bottlenecks and what are the optimized ways of programming these applications on HPC architectures. In this document, after introduction we will be discussing High Performance Computing Architectures in both hardware and software perspective. Then we will describe the literature reviews of our proposed case studies. 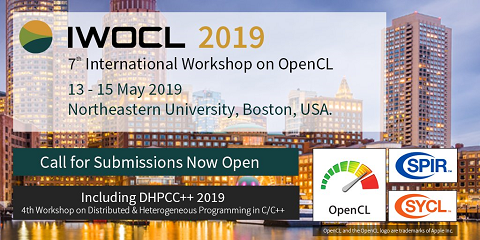 After that we will propose the design and implementation of these applications on different HPC architectures along with discussion on results. Finally we will show some visualization of the simulation and conclude our work.